An e-mail has been sent to Jane and she has 48 hours to respond. Thanks to those who entered! I've had some bad experiences with florists since moving to Georgia and really wondered why do I bother to pay the money to get ho-hum flowers. I could go to Publix and pick up a bouquet just as pretty at a huge fraction of the cost. 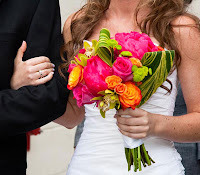 To get gorgeous flowers like you see at other great florists, a cute couple of sisters with beaming personalities will teach you all the secrets at how to achieve perfection with your floral endeavors. This is going to come in handy with a baby shower in the future as I have to do everything just right and above the top. Flower Duet sisters, Casey and Kit, show you step-by-step how to create many variations such as the European Wrap or Hand Tied Bouquet. This is a must have if you have a wedding coming up and want to save some money or just enjoy displaying fresh cut flowers. Not only do they provide this how-to for creating works of floral masterpieces but they give you tips on picking out the right flowers while optimizing their vase life. FlowerDuet's website is full of information and includes a DVD sample here. 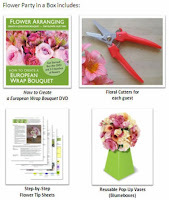 How to Create a European Wrap Bouquet DVD to watch with your guests and get to work on your own designs. Three Flower Recipes for each design on the DVD - nine recipes in all. Floral cutters for each guest to use and take home – these are our favorite we use for every class & workshop. To-go Vases that are reusable and lightweight – You pick the color for your party theme. Floral design Tip Sheets for each guest to take home. And…one free email consultation on where to buy your flowers for your party and what to buy! What a great idea to have with your friends and family! From working with flower arranging classes, lessons and workshops to weddings, celebrations, set design and memorials, the ladies at Flower Duet have you covered. 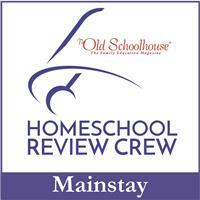 If you need more ideas, check out their blog. The DVD was inviting and exciting to watch as their personalities shine out throughout the entire DVD. They make floral designing look fun and easy! I enjoyed watching the DVD and picking up on all the tips I need to make sure I know what to look for when I buy flowers again. The information on keeping them alive longer was much needed as no one likes flowers to last a day or two. I thought the DVD was very professional, was entertaining due to the hosts as I think they could sale anything and their ability to make it look so easy. I enjoyed the entire package from the DVD to their website given how they have a natural ability to want to share information and knowledge and have a very obvious love for what they do. I would recommend this DVD to anyone who likes and enjoys flowers and especially to those planning a wedding or other occasion that deserves floral displays. These two know what they are doing! One lucky winner will receive their own DVD. 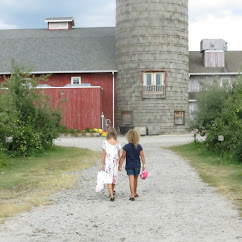 Visit Flower Duet's site and tell me something you learned. Giveaway ends 3/24 at midnight and winner will be chosen by random.org. I follow your blog and I'm hopeless when it comes to arranging flowers. I follow your blog. My flower arranging skills are sadly non-existent. Looks like a useful DVD! My mom has done tons of floral arranging, but I haven't acquired the talent yet. I just followed your blog via Google connect on the side bar. This would be a great DVD to win. I have my own wedding to figure flowers out for this summer!